Perhaps we can summarize at the start: same music, different album name. 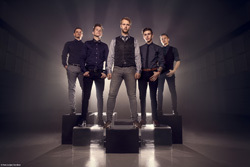 Leprous, the band named after the Biblical infectious disease, returns with their sixth album Malina, and fans can expect more of the same from the band. But for the uninitiated that requires some more explanation. The Leprous sound consists of a few basic elements: lots of riffage, light touches of acoustic guitar and piano, some symphonic nuances, quite a bit of synth and electronica widdling, and a sometimes heavier rhythm section. Square those things and then wrap the arrangements in Leprous' slight use of technicality and large use of melancholy. The final element is Einar Solberg's sorrowful, yet melodic and harmonious, vocals which range between crying and whining. Which has the additional effect of making him hard to understand without the lyrics sheet. Essentially, that's the core of what any Leprous song sounds like. Excepting the vocals, they merely mix things up by lessening or enlarging those core elements. I could probably like Leprous more, if I didn't have endure Solberg's voice. It seems to be the prominent element that accentuates the musical melancholy and sorrow. But what's more mystifying about the Leprous sound is how they can marry melancholy with kinetic musical energy in the same song, such as The Weight Of Disaster, Leashes, From The Flame, or especially Captive. So I stand by my initial summary. 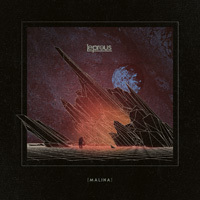 Leprous' Malina is simply more of the same Leprous, just in a different wrapper. There's something to be said for constant consistency, even if it does border on redundancy. Nevertheless, if you're a fan of the band, you will enjoy this album. Leprous' Malina is simply more of the same Leprous, just in a different wrapper. Nevertheless, if you're a fan of the band, you will enjoy this album.